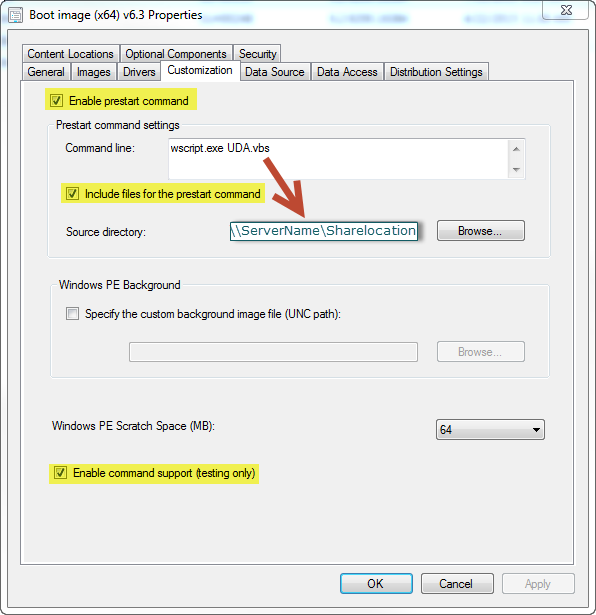 I’m using the Boot Image to set User Device Affinity (UDA) to devices managed by SCCM 2012 R2 SP1. I’m going to save this script on a shared network location. This code is widely used by many people, and I’m not the creator of it; I’ve just slightly modified it. Next, I’m going to customize the Boot Image file in SCCM, see screenshot.